Easy Card Creator Professional is the solution that provides you with a full set of tools to satisfy a wide range of design and print application requirements, each with a supreme level of professionalism and quality. The straight-forward user interface and great design capabilities make Professional Edition the software of preference for users of all skill levels, from beginner to expert. ...... Whether you need to print shipping labels with complex barcodes, or ID cards for your employees, Professional Edition serves all your desires with simplicity and flexibility. 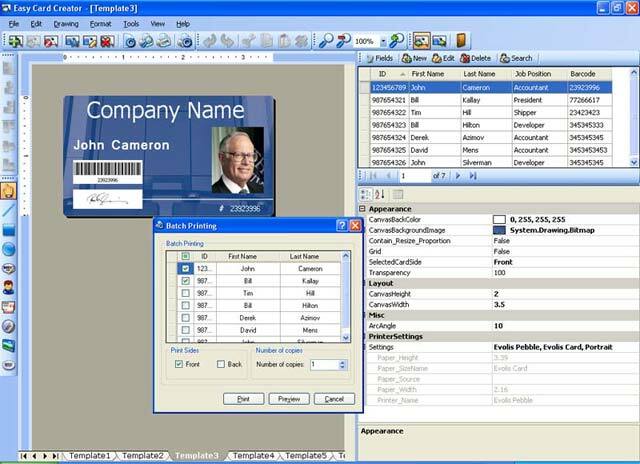 Qweas is providing links to Easy Card Creator Professional 9.20.45 as a courtesy, and makes no representations regarding Easy Card Creator Professional or any other applications or any information related thereto. Any questions, complaints or claims regarding this application Easy Card Creator Professional 9.20.45 must be directed to the appropriate software vendor. You may click the publisher link of Easy Card Creator Professional on the top of this page to get more details about the vendor.